Limited Edition 'Glowing Man' Rings and Pendants. These were made as rewards for several people who generously contributed to Marco Porsia’s Kickstarter campaign, helping to finance his SWANS documentary ’Where Does a Body End’. 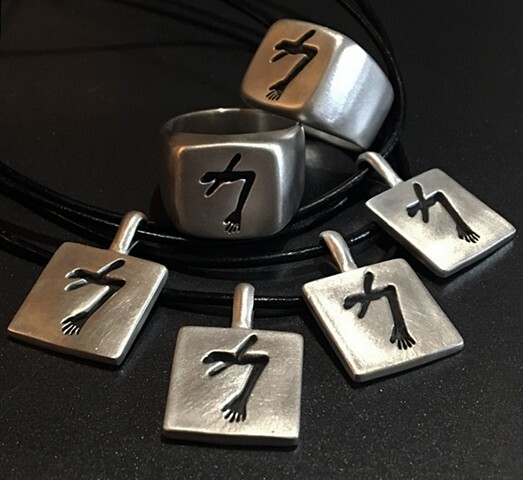 No additional rings will be made and the Kickstarter campaign is over, but if anyone is interested in getting one of the pendants, I can still make a few more. These are super Limited Edition. Please contact Marco (marco.porsia@gmail.com) to order. All proceeds will go to help offset costs of finishing the film.